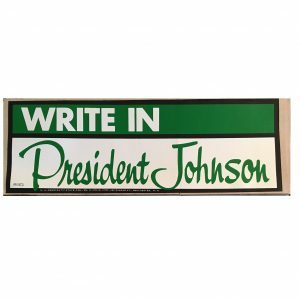 Lyndon B. Johnson was born on August 27, 1908, in central Texas, not far from Johnson City, which his family had helped settle. 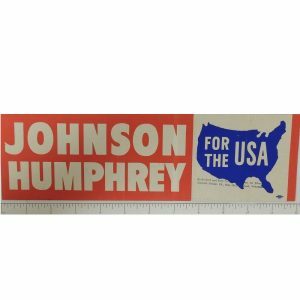 He felt the pinch of rural poverty as he grew up, working his way through Southwest Texas State Teachers College (now known as Texas State University-San Marcos); he learned compassion for the poverty of others when he taught students of Mexican descent. 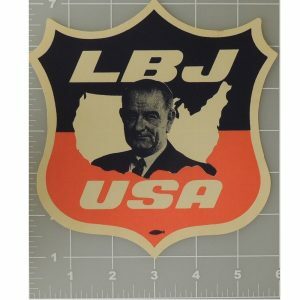 All of our LBJ stickers are original in excellent condition unless otherwise noted. 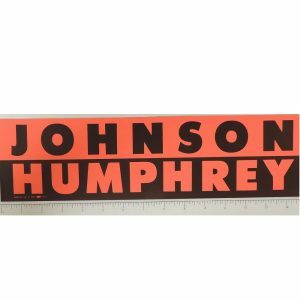 If you would like to sell your bumper stickers, please let us know as we are always looking for items to add to our inventory. 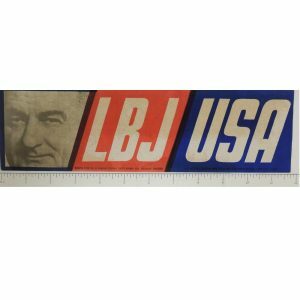 1964 LBJ USA Bumper Sticker Strip No. 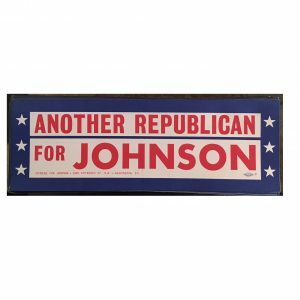 D3 Removes cleanly under normal use. Excessive exposure.